The centre is decorated with a dragon in flight amidst flames and scrolling clouds chasing a flaming pearl. 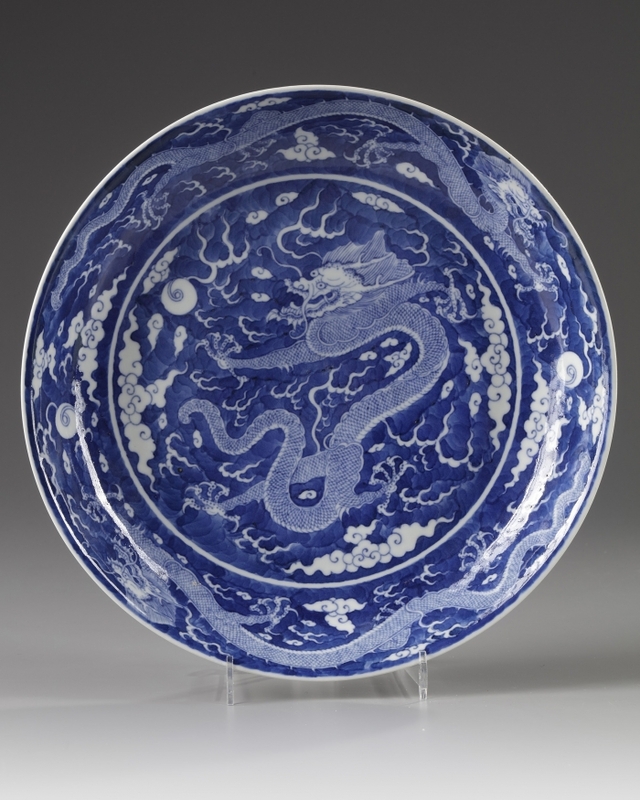 The cavetto and exterior are similarly decorated with two of striding dragons chasing the flaming pearl above a band of lappets at the foot, all reserved against an underglaze blue ground. 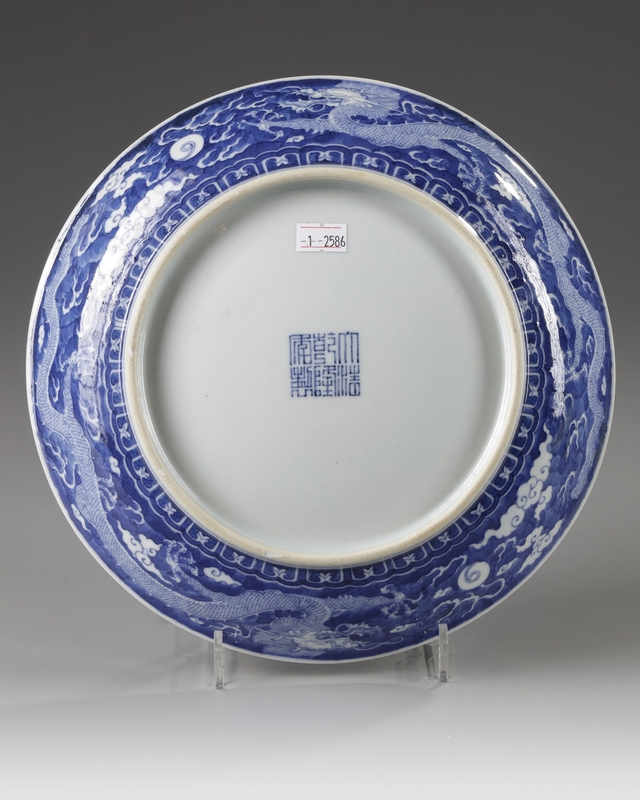 The base with a Qianlong seal mark.